While the rest listen to music when they are free, he stops listening to music to when he gets time. His passion for music led him to explore himself to becoming an artist in one of the rare form of art. The journey has not been easy, but his passion did not allow him to stop. Read on to know how passion, with action can help elevate yourself. His love for music and his passion to pursue the same has made him love this hard journey. One of the rarest profiles of the country, with an interrelated passion and profession differing from each other, has still been able to manage and progress in both the domains. 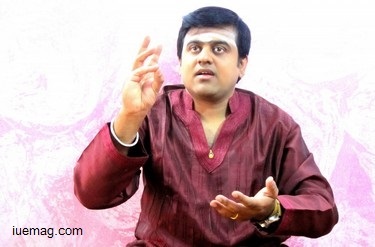 Meet Mr. Somashekar Jois B.R, a renowned artist in a rare art form - Konnakkol (A Traditional Art form seen in reciting or vocally/orally articulating Carnatic Percussion Syllables), Mridangam Artist, Vocalist, Music Composer, Theatre artist and is also the Regional Music Head - South India at the Reliance Broadcast Network. The journey started at the age of six when his father, who wanted to pursue music as his profession but could not do so because of the family and financial constraints, ensured that there isn’t a reason for his son not to explore the field of Music. Somashekar was in love with what he learnt and also realized that music is his passion, but always had a feeling of being different from others which made him further study audio engineering with the help of the HRD scholarship which is received only by 200 deserving artists from across the country. 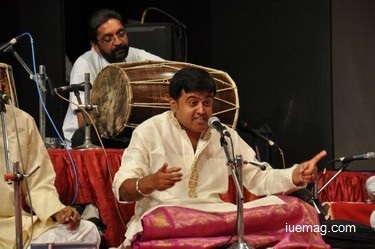 In the meantime he had also practiced Mrindangam for more than 15 years by then, which means his passion for music was undoubtedly strong. From his childhood, he would make sure he hooked to every opportunity that came his way where he explored himself. This day was the major turning point in his life, when he listened to an artist performing Konnakkol and he started to imitate the artist’s performance and he slowly realized that he was in fact replicating what the artist would do and that was when the thought of performing Konnakkol struck his mind. An encouragement by his mentor to join and perform for a concert with personalities boosted him to move further and expertise in the domain. It wasn’t easy to pursue something that wouldn’t fetch money at that point of time and still pursue it with passion, although there was huge pressure for him to earn. People around bullied him but he only knew that a day would come when they would follow him, for which belief and patience had to be a part of his daily life. Those earlier days of his profession was not manageable when he interned with radio stations and worked as a sound Engineer with least earning in terms of money, but he earned a loyal fan base for his Konnakkol Performances. His art of speech led him to work as a Radio Jockey in one of the renowned radio stations. Work pressure increased as he grew up the ladder in his profession, but that still did not stop him from chasing his dreams which was to reach the art of Konnakkol to the world. While he trains the music management teams of 45 radio stations from across the country during week days, he shares his time for his passion during weekends and has presented lecture demonstrations on Konnakkol at eminent events. Being rewarded with prestigious awards, Somashekhar Jois still believes his journey has just begun. He believes the key to success is comparing oneself in 2 entities, with the people around. “Compare yourselves with people who cannot afford to earn the money you earn, but compare yourself with people who have learnt and grown more than you, when it is education”, he remarks. Like the phoenix which is reborn from the ashes, he is now the hope for an almost extinct art form Konnakkl to be reborn. There are hundreds of such art forms, which the world is yet to explore. Firm believers like Mr. Somashekhar Jois are the only hope to propogate them and help the world believe that passion with dedication and the right intention can create a revolution. Any facts, figures or references stated here are made by the author & don't reflect the endorsement of iU at all times unless otherwise drafted by official staff at iU. This article was first published here on 1st October 2015.